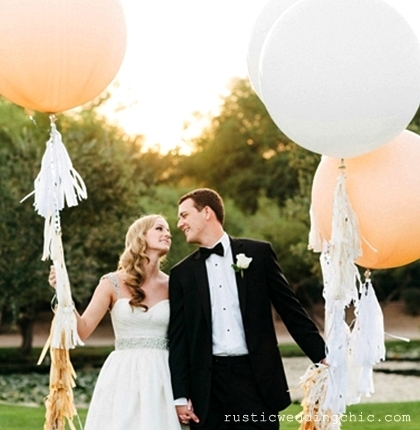 There are plenty of ways for creative brides and grooms to incorporate balloons into their wedding day celebrations. If there is one symbol that is synonymous with a celebration, it is the balloon. However, if your mind’s eye is picturing the cliched image of multi-coloured metallic balloons hovering above your wedding day celebrations, then get ready for a surprise. A new generation of crafty geniuses has taken the simple bobbing balloon to a whole new level of décor, making it classier and more useable than ever before. Below are a few novel ways to incorporate a few brilliant balloons into your wedding day celebrations. The growing number of boutique suppliers on today’s wedding market means that couples can personalise every last detail of their special day. 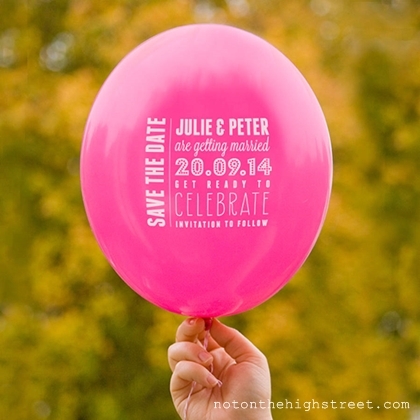 Why not start as you mean to go on by sending out personalised ‘Save the Date’ balloons as invitations? Sending out balloons as opposed to paper invitations gives you the chance to incorporate a quirky twist that reflects your personalities better. The novel effect also gives guests a taster of the fun festivities in store on the wedding day. Balloons offer a more dynamic form of wedding decoration than many sorts of flower arrangements – and at a beach wedding, what could be better than seeing the gentle sway of your decorations in the luscious sea breeze? Personalise your selection of swaying spherical globesby creating long fringe tales to tie your balloons down. This gives them more of a ‘wow’ factor, and also hides plain balloon strings. Depending on the material you choose – from coloured fabric, to ribbon, to chiffon – it is easy to create a striking display. Balloons are an ideal option for your bridesmaids, whether they are girl friends or little ones from your family. Carrying balloons instead of traditional flower arrangements adds a unique twist for couples that don’t want the visual side of their ceremony to seem too traditional. There is no doubt that little ones will also get a great deal of enjoyment out of fun balloon games.To add a few pops of colour, select a see-through set of balloons and then fill them with shreds of coloured paper and glitter. This is guaranteed to result in more than a few ‘ooohs’ and ‘ahhhs’! The way you choose to decorate your wedding venue sets an extremely important overall impression for guests. 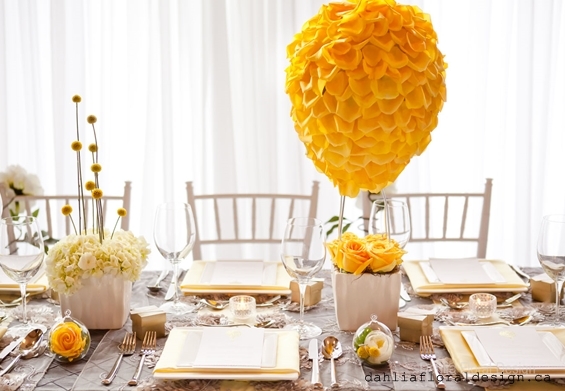 If you can’t decide between balloons or floral centrepieces, why not have both? Eye-catching, table centrepieces can be created by gently sticking brightly coloured petals onto a balloon to create a textured look. If you aren’t into florals, why not Paper Mache the balloons with a collage of photographs and meaningful love notes that reflect your journey as a couple so far? Not only is this personal kind of decoration highly unusual; it will give guests something to talk about when they sit down for their meal! Next year, vintage chic designs are expected to retain their favoured position among brides and grooms tying the knot. To incorporate balloons into your vintage celebration, the key ingredient is lace. 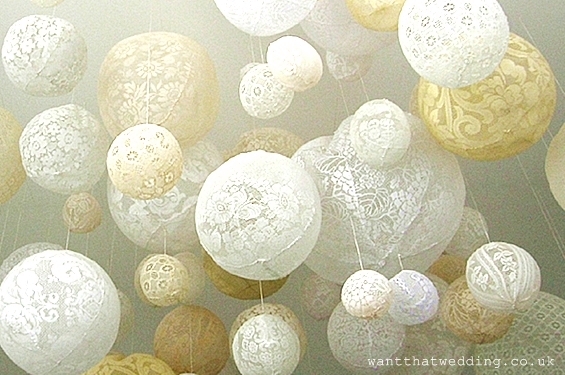 For a delicate look, simply apply cream or ivory coloured lace over the balloon to cover it. If a little more sparkle is needed, use lace embellished with pearls. Alternatively, apply lace strings to the bottom of your round helium balloons to use them as a hanging/ floating decoration.